Oh, I thought “Virile” was the guy in the pics. Never heard of the product. What the heck is L-dopa supposed to do for hair loss?? » Oh, I thought “Virile” was the guy in the pics. Never heard of the product. 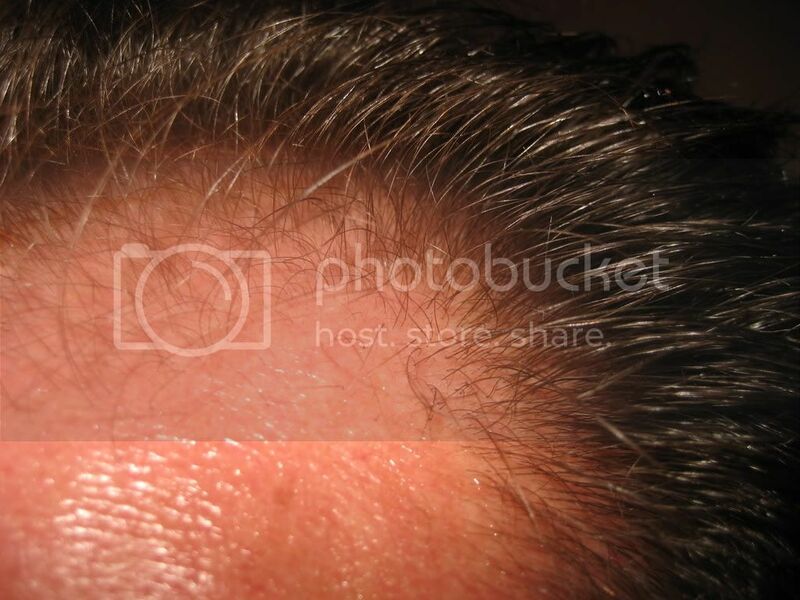 » What the heck is L-dopa supposed to do for hair loss?? 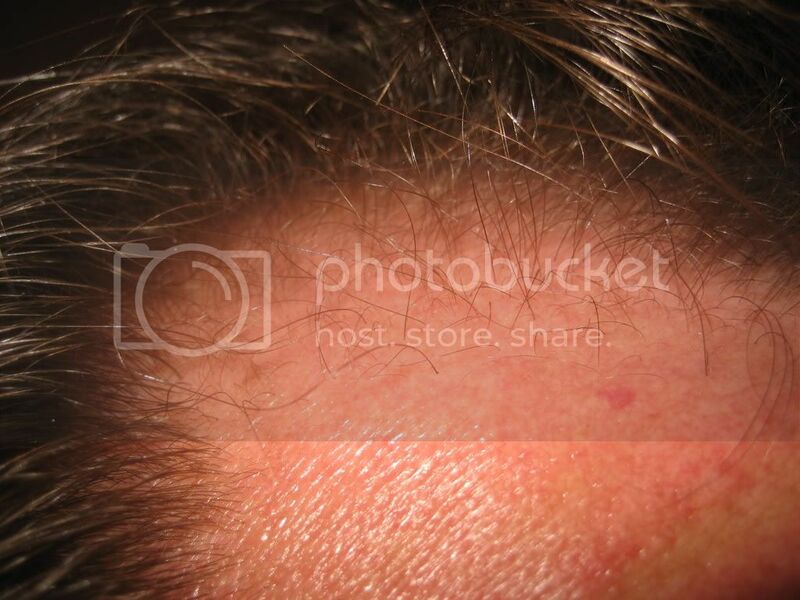 These are different temples, since each side often losses hair at a different rate so I’m not really believing these pictures. » different rate so I’m not really believing these pictures. » » different rate so I’m not really believing these pictures. It’s easy to regrow vellus hair, the real test is whether you can turn them into thick terminal hair. Many products are able to produce vellus hair and they just stopped there. Stuff like this just depresses me. That’s not “regrowth.” Not by any normal person’s measure. That’s just a little bit of crappy fuzz appearing. It’s an anecdotal oddity, not a viable option for fighting hair loss. The guy does not have before picture, he claims though that all the small terminal hair thats shorter then 1.5cm is new stuff grown from nowwhere. I can see few terminal hair growing there. » terminal hair thats shorter then 1.5cm is new stuff grown from nowwhere. » I can see few terminal hair growing there. » have even vellous hair around) is quite remarkable acheivement imho. » » I can see few terminal hair growing there. » » have even vellous hair around) is quite remarkable acheivement imho.